This sweet Mo Manning image was perfect for my niece for her tenth birthday (she has a very similar face) and it immediately made me think of her. The theme over at the Outlawz Paper a la Mode challenge is "anything goes". This theme is always one of our favourites and I welcome you to join us! Super cute. Love the image and how you colored it in. The sky behind her is awesome-was that done with ink pads? 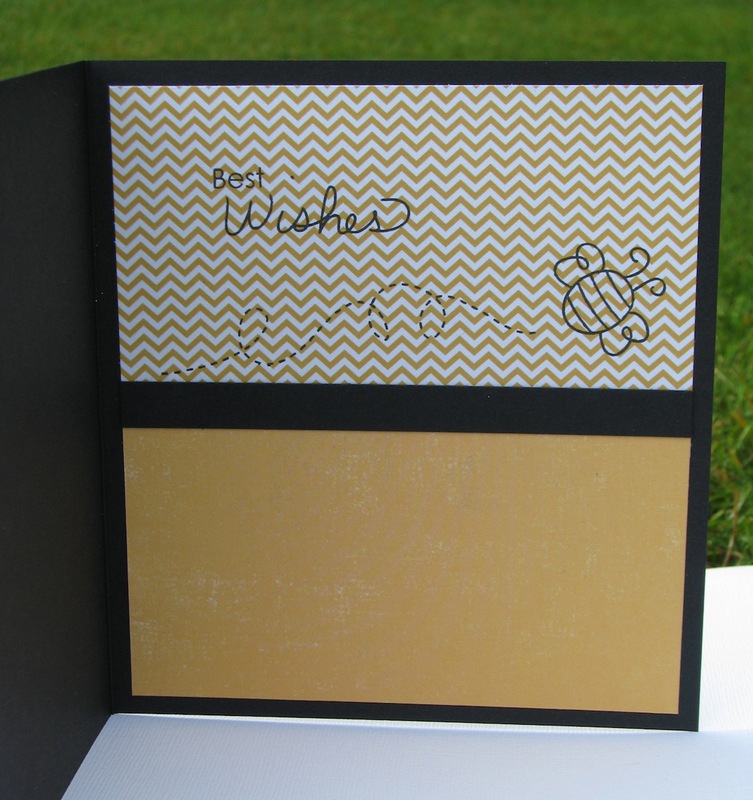 Love that you decorated the inside of the card. I just saw your card on MIM and wanted to stop by and take a look. Great job. Thanks for the sweet comments. Yes, done with two ink pads and daubers. I like to let it drag a little before putting to paper and I change pressure to get the dark and light sections. Always hard to put technique into words. 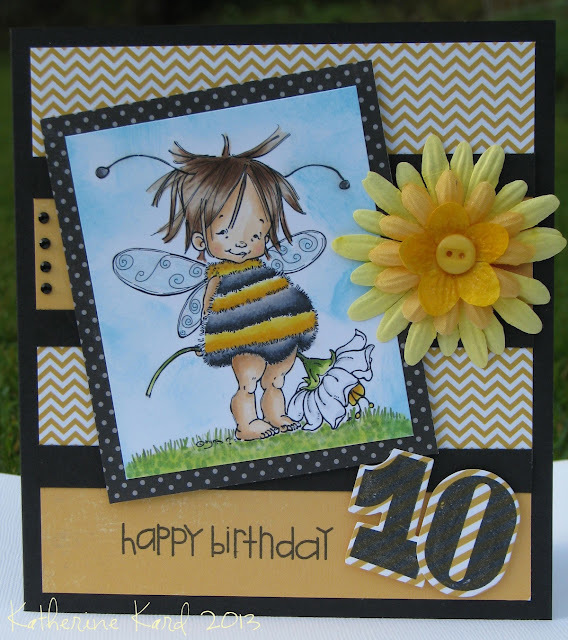 Such a sweet image, lovely colouring and fab layout. Thanks for sharing your wonderful card with us at Make It Monday this week. Super cute is right!!!! Love the image and the shimmer and your fab coloring skills!!! You've inspired me to break out those markers! Thanks for joining us at Seize the Birthday ! Love your adorable card. That is such a sweet image and the colors are perfect. Great details with the shimmer. Thanks for joining us at Seize the Birthday. I spotted this charming card at the Outlawz. Thought I would come by and say Hi!